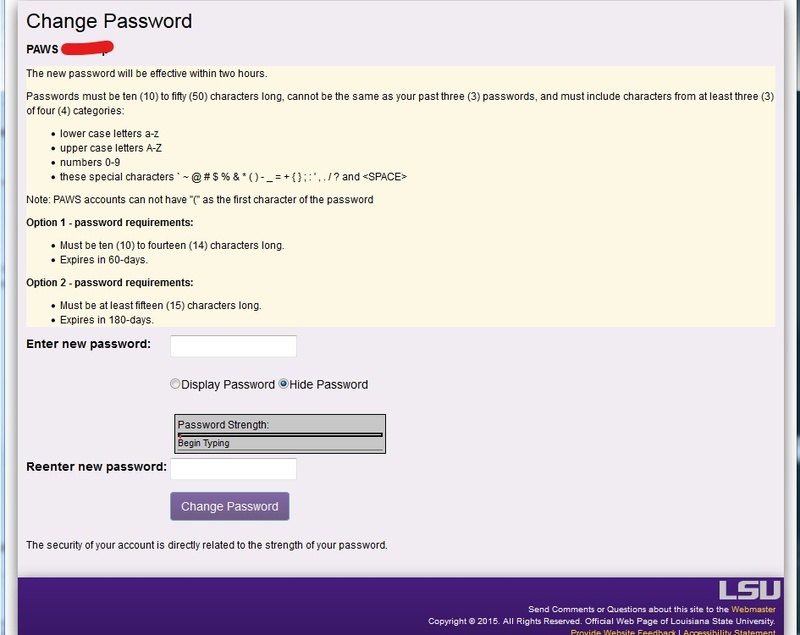 The Security Level of your myLSU Password will determine how often you will be REQUIRED to change it. This is also referred to as the Password Strength. 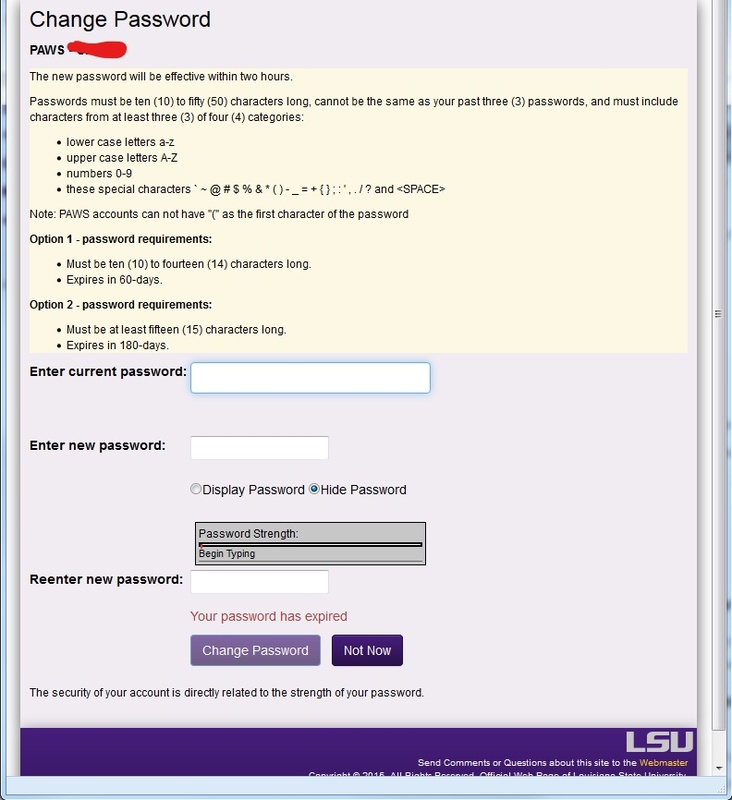 The myLSU Account Password MUST be changed periodically: Every 60 Days OR Every 180 Days depending on the Password Strength. Red: Does NOT Meet Minimum Requirements. Orange: Does NOT Meet Minimum Requirements. Yellow: Option 1 Password Requirements. Your Password Strength will change as you type your New Password. Color will go from Red to Orange to Yellow, then potentially to Green. Your Password MUST be Yellow OR Green to be accepted.